Biobanks collect samples and tissues and make them available to researchers. The quality of samples and clinical data stored at biobanks strongly depends on the way samples and data are collected, processed and stored. 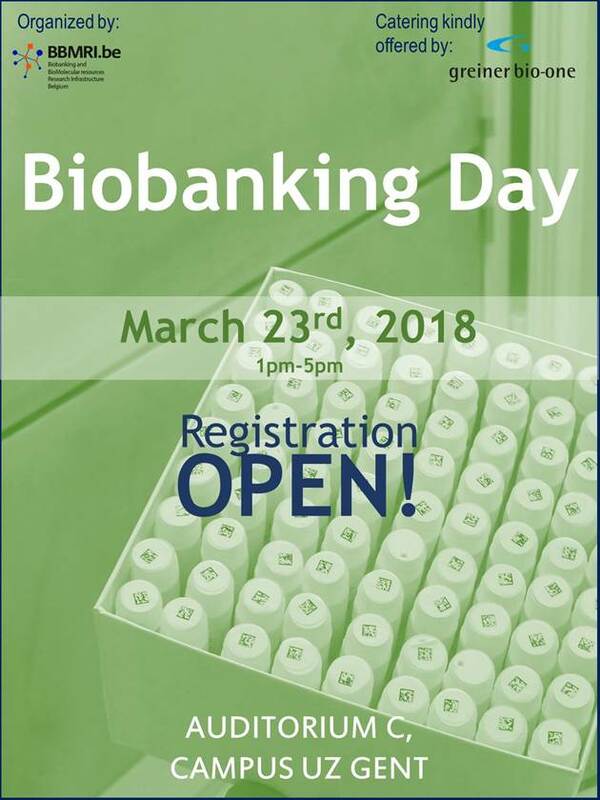 On Biobanking Day, taking place at the University Hospital of Gent on March 23, biobank experts will highlight all the critical steps in the biobanking process and the hurdles you might come across when working in a biobank. The event will be organised by BBMRI.be, our Belgian National Node. Click here to view the programme and to register.